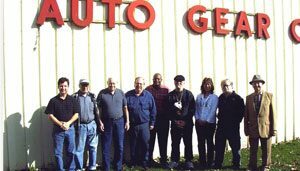 My grandfather, Irving H. Sollish, founded Auto Gear in 1945. Then, our mission was to provide drive train rebuilders with affordable access to the highest quality Original Equipment replacement parts. Today, we design and manufacture specialized transmissions for off-highway vehicles as diverse as golf course utility vehicles, rough terrain lift trucks and street sweepers, but our commitment to provide outstanding quality and value remain.